The harvest is complete! Woo hoo! We were probably the last in our area, but it got done, we are happy with our average yield and we ended on a beautiful day. Moisture levels were up on the corn we had to harvest after a week of rainy weather, but it will balance all the super dry corn that was harvested earlier in the month. Jesko drove the combine the last few rounds to finish the field and as the combine ate up the last rows of corn, a brown hen came running out in front….not a pheasant or a rabbit, a hen. That was a first. We are all relieved that it is over. Now it’s time for clean up, winterizing all the machines and buildings, and having this baby! 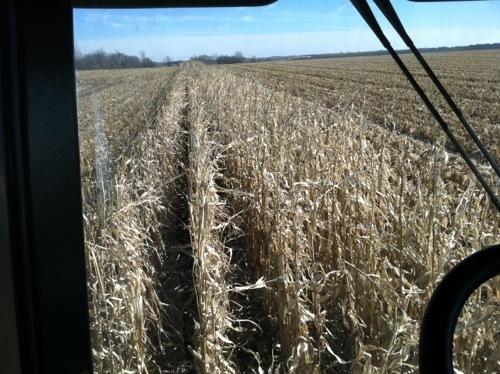 The last rows of corn for the year. We just got accepted to be a part of the mentor/mentee program for 2012 through The Midwest Organic and Sustainable Education Service (MOSES). 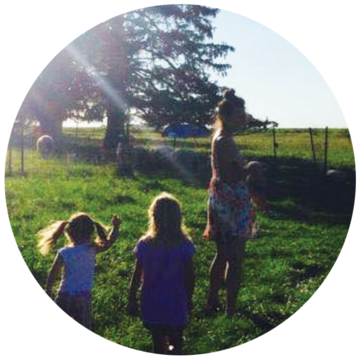 Our mentors are the Frantzen’s, who grow organic row crops and raise organic pigs from farrow to finish, a farm operation that we would like to mimic. I attended a field day they held at their farm through Practical Farmers of Iowa (PFI) last summer and learned so much from that one day, so we are very excited to have some hands on learning of organics and how to make money at it while being good to the earth. In late February, MOSES holds their annual conference in Wisconsin. We know it will lead to a wealth of information for us AND it’s free for mentors and mentees! Woohoo! For more information on the conference, visit the MOSES website.